Running at Outdoors Vs Running on a Treadmill Bottom-line: Keep Running!! Many of us do running at outdoors and many do it on a treadmill; kept me wondering which is better.. Both have its pluses and minuses as I looked at it. Outdoors give you fresh air and continuously changing scene around whereas treadmill doesn’t..
Outdoors you can have companion running alongside with same speed and can be great motivator, which doesn’t / can’t happen on a treadmill.. What a loss!! However many prefer running alone, not a bad idea, everyone must suit their convenience.. Bottom-line being one must Run!! At outdoors without a machine; one runs with natural steps, whereas on treadmill I found something different; machine pulling me rather than I going for it!!. 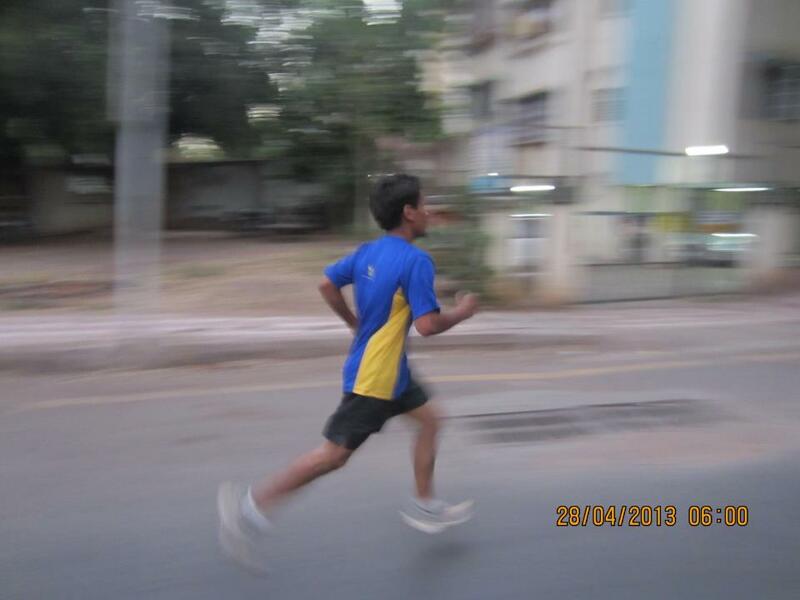 At outdoors; one motivates others and one can spread running disease!! This is good for health, an abnormal disease!!? Outdoors one can keep changing places and explore new places with running as habit!! Is it because I fear that I may not be able to run continuously for a given time, so I start on treadmill and get addicted to it, or I fear running in front of others because of shape / size; what would others say / comment! !—whatever could be the reason (Is it Psychology that plays such negative role!!) But isn’t it better, to shade such myths and move out running / jogging / walking at Outdoors!! Yes, may be when one doesn’t have time for outdoors or have such a busy schedule, once in a while treadmill is fine. Thought of keeping it incomplete for you all to fill in, what comes to your mind! !